Dorchester Fishing Club celebrated it’s 140th anniversary in 2017 and a dinner was organised by committee member Rob Ayles. To coincide with this, a raffle was held and the proceeds from this went to Fishing 4 Schools. The prizes were procured by River Keeper John Aplin using various means and huge thanks are due to the donors of the excellent contributions. Charles Jardine was the guest of honour and after dinner speaker. 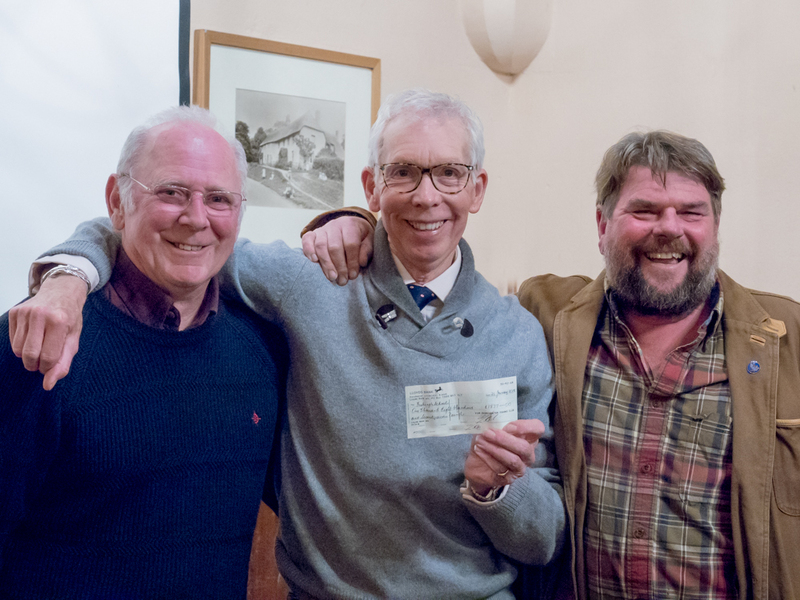 The raffle and auction of one of Charles’s superb pictures raised the princely sum of £1877 and a cheque was presented to Charles at the January meeting of the Dorset Chalkstream Club in West Stafford close to the Club’s fishing on the River Frome.